Pages: 311 including a long bibliography and footnotes. The book also has many maps and illustrations. Who are the Europeans and where did they come from? In recent years scientific advances have released a mass of data, turning cherished ideas upside down. The idea of migration in prehistory, so long out of favour, is back on the agenda. New advances allow us to track human movement and the spread of crops, animals, and disease, and we can see the evidence of population crashes and rises, both continent-wide and locally. Visions of continuity have been replaced with a more dynamic view of Europe’s past, with one wave of migration followed by another, from the first human arrivals in Europe to the Vikings. Ancient DNA links Europe to its nearest neighbours. It is not a new idea that farming was brought from the Near East, but genetics now reveal an unexpectedly complex process in which farmers arrived not in one wave, but several. Even more unexpected is the evidence that the European gene pool was stirred vigorously many times after farming had reached most of Europe. Climate change played a part in this upheaval, but so did new inventions such as the c and wheeled vehicles. Genetic and linguistic clues also enhance our understanding of the upheavals of the Migration Period, the wanderings of steppe nomads, and the adventures of the Vikings. I was very excited to get this book, because I was interested in seeing a review of the genetic material evidence that is out there; and I wanted to see how the author would employ it to prove their main thesis of who the Europeans were and where they came from. I’m thankful that the author took the time to explain the DNA evidence and how it works in chapter 2. I’m also grateful for the information on the problems it runs into. I just wish that I understood it all. That is not the author’s fault but my own since this is not something that interested me too much in the past so I never really read up on it. So I’m playing catchup. 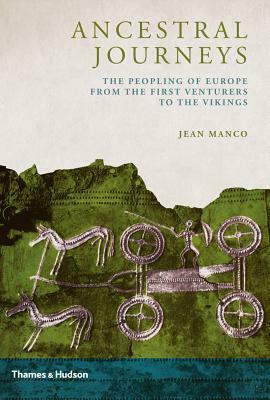 The author goes on to talk about the hunters and fisherman of the Mesolithic, the first farmers and dairy farming, the Copper Age, the IE family and its genetics, the Beaker folk and their relationship to the Celts and to the Italics, the Iron Age warriors, the Etruscans and Romans, the Slavs, the Bulgars and Magyars and finally the vikings. The author also talks about not just genetics but history via archaeology and linguistics and some classical writers, a word of caution here because the author is not an archaeologist, or a linguist and it shows…for example, on page 205 the author says that Constantinople was re-named Byzantium…So I wasn’t very impressed in some places. The author also starts out by saying that the genetic evidence should really be read carefully because ancient DNA is not the same as modern DNA, and the places were we are able to get ancient DNA, often times are comprised on one family buried together. And that it is pretty hard to link one genetic “haplogroup” with a language but you seem it done all over the book. Honestly, but the end I think I got one thing from this book. The migration hypothesis is back in fashion. I don’t think this is a bad book. I think the author should have concentrated on one era or culture and researched the heck out of it to see if the linguistic and archaeological evidence lined up with the DNA evidence presented. Keep in mind that this book is from 2013…so the technology and DNA evidence presented here might already be obsolete. “They cut off the heads of enemies slain in battle and attach them to the necks of their horses… They embalm the heads… [and]… display them with pride to strangers.” – Diodorus Siculus. Before the Vikings, before the Anglo-Saxons, before the Roman Empire, the Celts dominated central and western Europe. Today we might think of the Celts only inhabiting parts of the far west of Europe – Ireland, Great Britain, France and Spain – but these were the extremities in which their culture lasted longest. In fact, they had originated in Central Europe and settled as far afield as present day Turkey, Poland and Italy. From their emergence as an Iron Age people around 800 BC to the early centuries AD, Celts reveals the truth behind the stories of naked warriors, ritual beheadings, druids, magic and accusations of human sacrifice. The book examines the different tribes, the Hallstatt and La Tène periods, as well as Celtic survival in western Europe, the Gallic Wars, military life, spiritual life, slavery, sexuality and Celtic art. Illustrated with more than 180 colour and black-and-white photographs, maps and artworks, Celts is an expertly written account of a people who have long captured the popular imagination. Review: If you’ve ever read Simon James’ book The World of the Celts, or Miranda Green’s The World of the Druids, then you know the kind of book this is. Basically, it is an introductory book. It has a little bit of everything in it. The history of the Celts (snapshot of it anyway), Celtic literature, Celtic Gods and Goddesses (well, some of them) and so on. Hardly ever a page goes by without an illustration, a picture or a map. 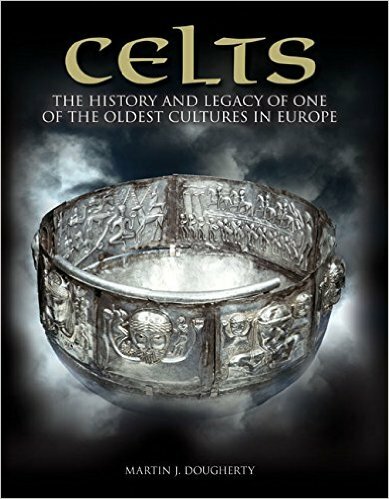 This would be the kind of book I would recommend to someone who knows nothing about the Celts, and are not really sure they are interested in reading in depth about them. I do have to say that because of the expertise of the author (he is a professional writer specialising in military history), the military bits are very interesting. I liked the book. Of course I read it in one sitting because there wasn’t anything new in it but it was still good. Of course, it wasn’t perfect either and I sometimes felt like the author was putting together a booklet for a Dungeons and Dragons game (he, the author is also a game designer so maybe that also came through in the writing?). I would recommend this book as a fun introduction to the Celts, but don’t look for anything in depth here. Pages: 89 including Appendix A – Pronunciation Guide, Appendix B – Recommended reading for Irish Polytheists, Appendix C- Myth titles in both languages, bibliography and endnotes. 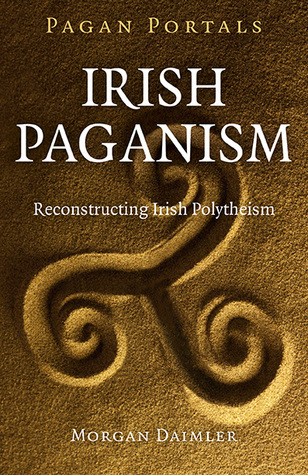 Synopsis: Irish Reconstructionist Polytheism is an often misunderstood path, but it is one with great richness and depth for those who follow it. 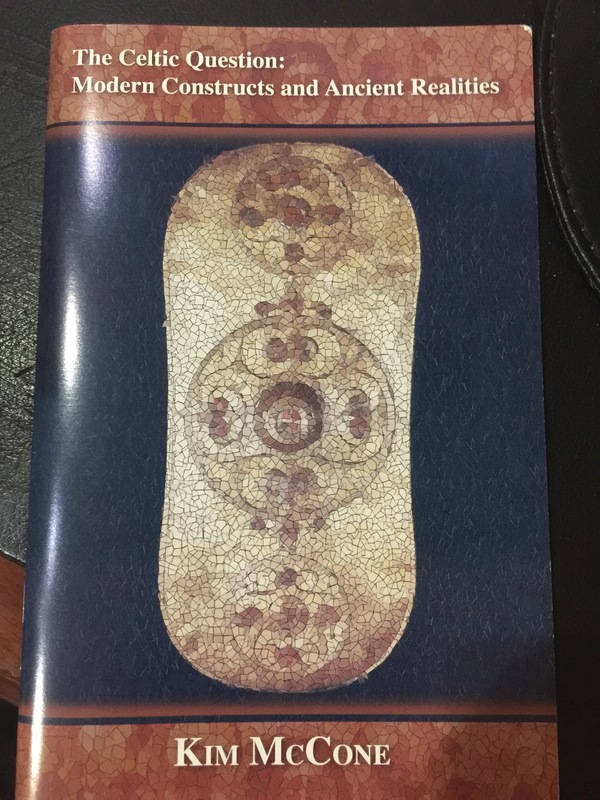 This short introductory book touches on the basic beliefs and practices of Irish Polytheism as well as other important topics for people interested in practicing the religion using a Reconstructionist methodology or who would just like to know more about it. Explore the cosmology of the ancient Irish and learn how the old mythology and living culture show us the Gods and spirits of Ireland and how to connect to them. Ritual structure is explored, as well as daily practices and holidays, to create a path that brings the old beliefs forward into the modern world. As can be seen from the page count, this is a very short book, typical for a Pagan Portals book. Even so, it packs in quite a bit. There are so very few books out there written on Celtic Reconstructionism and Daimler’s book on Irish Reconstructionism is a welcome addition. This book is a well-researched look at the basics and should serve as a great introductory text for people interested in walking this path and don’t know where to start. The book is made up of 7 chapters and discusses the methodology behind reconstructionism, the basic beliefs of the Irish, rituals, the holy days, and mysticism. Chapter six deals with controversial topics like race, cultural appropriation and sexuality. In the final chapter, the author wraps up the book with a conclusion. I really enjoyed reading this book, twice. It has just the right amount of information as to not leave people wanting or confused but also just the right amount of push to get you on your own exploration of this path. Highly recommended for people who have read the Celtic FAQ, have decided that Ireland will be their hearth culture and are ready to get the specific basics for that hearth culture. This very short book is a modified version of a lecture given by Kim McCone at the Dublin Institute for Advanced Studies on April 24, 2008. It was for the Myles Dillon Memorial. McCones’ books are usually a hard read for me because I keep feeling like his anti-nativist attitude colours everything (usually he makes good points, it is just that I always feel like he is talking down to his audience). So, I was steeling myself to read this and keep an open mind. I’m glad I did. This book can be seen as a rebuttal of the arguments made by Chapman (1992), James (1999) and others that have as the central premise of their books the fact that there is no such thing as Celts, or in the case of James, there is no such thing as Celts in the British Isle. McCone pretty much refutes all their arguments effectively, using the same sources that they do more effectively. These sources include the classical writer, archaeology and linguistics. Be prepared for a bit of linguistic reconstruction for the word Celtic and be prepared to be wowed.